‘5S’ is a Japanese method of proper housekeeping that generates benefits in the quality improvement process. The five ‘S’s stand for sorting, setting in order, shining/ cleaning/ removing the clutter, standardising and sustaining. It is high time that Indian thinks of decluttering its energy sector with multifarious pursuits and sustaining it through long-term visionary clean energy optics. The world is driven by energy. The country that has more energy in its kitty is more powerful and rich in terms of serving its citizens better than the ones that have less or none. Here, we are talking about primary energy resources, mainly fossil fuels. With the exploitation of technologies, primary energy sources can be converted into secondary sources. The burning of coal not only gave humanity the steam engine but also the Industrial Revolution. With the application of energy, we won several frontiers and virtually became the rulers of this planet. However, like all proverbial good or great things, fossil fuels are now at their lowest ebb. The reason for this is our dissolute activities, which are also the principal source for primary energy depletion. We need to contemplate about our bustling primary energy usage. Anyway, eventually it will vanish, even though we can stretch a bit by employing sustainability in our approach. Then, we need to start with alternatives and as we choked this planet with emissions and discharges, now we need to harness only clean energy. The Indian government has taken a forward-looking step by reducing customs duty of up to 30 per cent on electric vehicles (EVs) since January 2019, especially for domestically assembled EVs. Meanwhile, since 2008-9, clean diesel technology has been promoted and dirty diesel has been discouraged and the Indian government gave signals towards EVs. Subsequently, it upgraded the emission standards and successively promoted hybrid technologies and then focuussed on the upgradation from hybrid to EVs periodically. However, the question is: Are our EVs really good in terms of energy efficiency and environmental-friendly practices? The Indian government, as the leader of one-sixth of humanity, has no other choice but to make promises in international fora and commissions. But is our motor industry in harmony with that approach? How long will it take to come out from the somniferous state? What is needed are enforceable guidelines and water-tight deadlines. The motor industry can also think off giving rebate to the customers that partly needs to be absorbed by the government in the form of discounting taxes. There needs to be a big vision and enforceable mission along with a deadline to end dirty fuel usage. If it was possible for Delhi to enforce Compressed Natural Gas, then why not enforce contrived EVs and kick out the dirty fuel altogether? There are around 1.7 million buses in India running with dirty fuel. There is a great opportunity to go for clean energy in this sector. 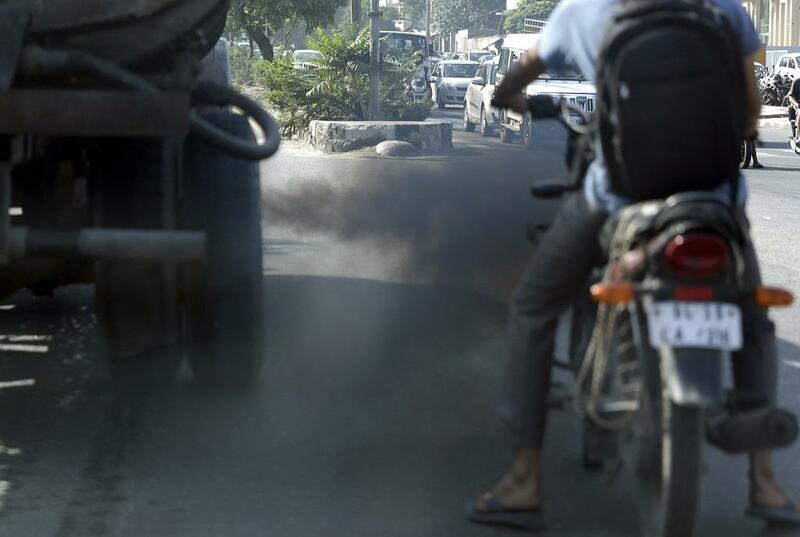 Probably since 30 per cent of its air pollution is generated by motor vehicles through Particulate Matter2.5, recently Delhi tendered for 1000 electric buses, a very good number indeed, but it would dwarf if compared with China where 1.2 million electric buses are making the giant stride for a cleaner globe. Mumbai, Bengaluru, Hyderabad and a few other cities are running electric buses for the trial purposes. So far, Himachal Pradesh is having a good number (25) of electrical buses in its operation and plans to tender 220 more electric buses in its fleet. China took a quantum leap in 2009 after choking from pollution and earmarked seven strategic industries for future growth. Out of those seven, two were from alternative fuel and EVs. Like China, our motor industry needs to come out from the torpor. We expect the Indian government would lead from the front by giving enforceable guidelines as well as sustained efforts to be imparted for building country-wide electrical charging booths / stations for EVs. We know now that lot of waterways / ferries are opening up, but emphasis should be given to the use of clean fuels, not the dirty fuel anymore. Sustained efforts to be made for cleaning the Ganges and cleaning India for posterity and ourselves. Just remember, Gurugram has been crowned as the ‘most polluted city on earth’. But I believe it would happily like to renounce the title. It can, if it adopts a systemic clean energy approach.